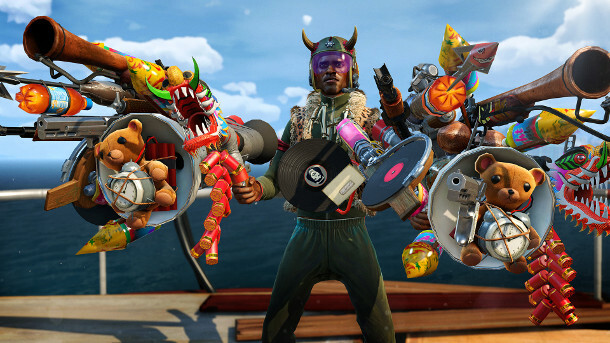 Sunset Overdrive is a riot of colour and… well, rioting. Art director Jacinda Chew explains how her team of artists at Insomniac Games fused an unruly dayglo grab bag of influences into a winning Xbox One shooter. Jacinda Chew graduated from Rhode Island School of Design with a BFA in Illustration. She has worked in games for 15 years, first as a texture artist and later as a 3D modeller. She has been studio art director at Insomniac Games for over five years, where she art directed Ratchet & Clank Future: A Crack in Time – and most recently, Sunset Overdrive: the studio’s Xbox One exclusive. 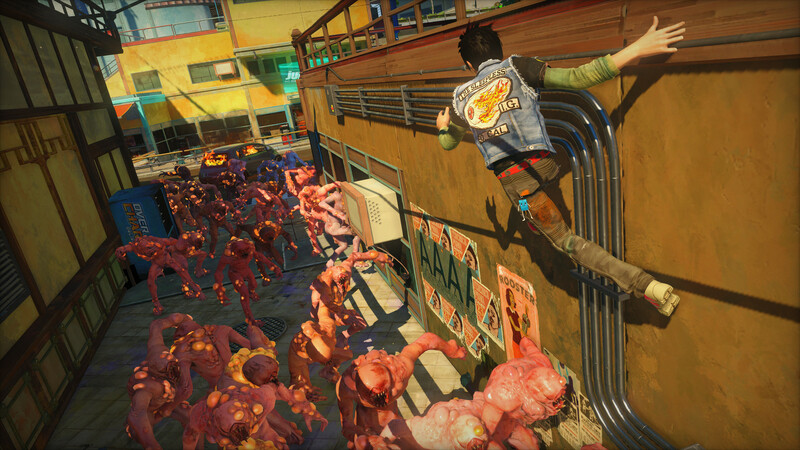 Described by IGN as “big, gorgeous and a hell of a lot of fun”, Sunset Overdrive fuses a colourful grab bag of influences – in interviews, Jacinda has cited Tank Girl creator Jamie Hewlett, fashion designer Jean Paul Gaultier, and the architecture of Havana and Shinjuku – into a freewheeling open-world shooter. On 4 December 2014, Jacinda and Insomniac colleagues Robert Coddington and Seth Faske will be taking part in The Making of Sunset Overdrive, a free two-hour event at the Gnomon School of Visual Effects’ Hollywood headquarters exploring how the game was created. 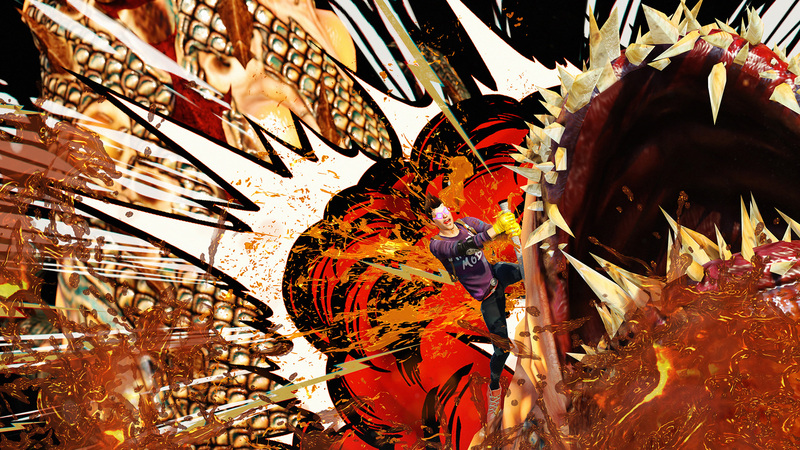 We spoke to Jacinda to find out more about Sunset Overdrive’s design process, her advice for young artists aiming to work on similar titles – and why Victorian ball gowns aren’t practical streetwear for game characters. 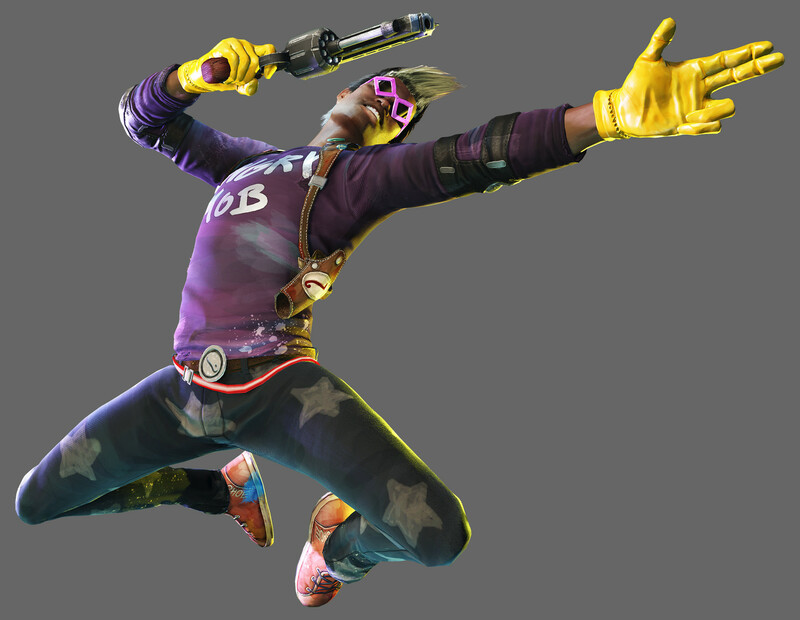 CG Channel: For anyone who hasn’t played it, how would you describe the art style of Sunset Overdrive? Jacinda Chew: Irreverent, bold, colourful, bright, and fun. CGC: The art draws on everything from Havana to Jean Paul Gaultier. How did those influences feed in? JC: I really loved the colours of Havana and the irreverence of Gaultier’s fashion designs. Havana’s pastel-coloured buildings inspired us to be bold with [our own colours]. Gaultier often combines differently themed costumes in unexpected ways. We took that idea, gave it a street-style twist, and applied it to our own fashion. CGC: How do you fuse such diverse sources into something that works in-game? JC: We had to establish a visual hierarchy, just like any piece of art. We use colour, saturation, and value to control what the player notices at any given time. The environments are really colourful, but they are in a limited palette specific to each area. This allows them to sit back a little. We used brighter colours for interactive elements like railings or wires so players could see them better. The players and the fashion have secondary motion and are generally wearing more saturated colours. This allows them to stand out more. And we added lights or incandescence to anything we really wanted you to see, like FX and enemies. These items should stand out the most. There’s a lot of colour, but everything adheres to a strict hierarchy so you know what you should be looking at. CGC: How much did the game mechanics constrain the art style? JC: Sunset Overdrive is a game first and a piece of art second. We worked with the designers to make sure everything we did was gameplay-friendly. The environment style was heavily influenced by the gameplay. Since it was possible to interact with almost every surface – walls, floors, roofs, and railings – it was impossible to control every vertex in the architecture. In the end, the in-game environment does not look exactly like our concepts, but the spirit is still there. We had to discard a lot of fashion ideas [because they didn’t fit the gameplay]. One of our early designs was a modified Victorian ball gown. Unfortunately, a virtual ball gown is just as difficult to maneuver as a real-life one! Insomniac ordered the game’s colourful environments into an intuitive visual hierarchy. Variations in saturation, motion and incandescence distinguish gameplay elements and enemies from the backgrounds. CGC: Many people aren’t sure exactly what the art director of a game does. Give us a quick overview. JC: I oversee the art and animation teams at Insomniac Games. This includes determining the style of our characters, environments, FX, lighting, animation, cinematics, and UI. I have several directors and leads under me who help me keep standards consistent across all teams. There are a lot of moving parts, but we’re a close-knit team and trust each other to do a good job. CGC: You started out as an environment artist. What skills do you take from your old job? JC: The nice thing about coming from production is that you know how to put together a game from beginning to end, and how long things take. I know first-hand what’s it like to deal with common issues like not having enough time, unclear direction, and tool and rendering challenges. This experience allows me to create art styles that are both friendly for my team and for the project. CGC: So how does it differ from being a production artist? I had to work on my communication skills when I became art director. I have to interact a lot more with other departments, publishers, and press. When I make decisions, I have to understand where everyone is coming from. At the same time, I need to be able to clearly communicate my goals when I talk to them. It’s not something you have to worry about as much when you’re modelling. CGC: What advice would you give to young artists aiming to work towards art direction? JC: An art director’s role is different from studio to studio so I don’t think there’s a set career path. Some of them are concept artists and some of them come from production like me. All the art directors I respect started out really good at their chosen field, whether it’s concept art, lighting, or modelling. Besides that, they tend to be able to see the game holistically: they don’t just focus on their corner of the game, but think about how animation works with audio, and how they both work with gameplay, for example. The skill that brings it all together is your leadership ability. You have to be able to communicate an idea to others and get a large group of people to execute that vision in a positive way. Jacinda explored sources ranging from the architecture of Havana and Shinjuku to graphic novels when researching the game. The movie adaptation of Scott Pilgrim vs. the World was a big influence on the FX. CCG: What do you look for when hiring new environment artists? JC: A strong portfolio and a good attitude and personality. For Insomniac, a good portfolio normally means both strong modelling and texturing skills. 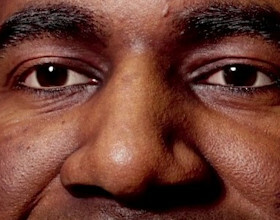 I also expect artists on my team to have some breadth. They should be well-versed in both hard-surface and organic modelling and be able to do a wide range of styles. I’m not a big fan of hyper-specialization: I want my team to be nimble, and I think it gets boring for the artist when they’re stuck doing one thing for a long time. A positive attitude is really important in video game production. I want artists who know how to take constructive criticism and want to learn and grow. I don’t want artists who crumple in the face of adversity. And on a small team, personality is really important. We often partner up on tasks and share assets. There’s definitely no ‘I’ in our team, so you have to blend in well. CGC: What skills are under-represented among your applicants? JC: It’s really challenging to find artists who are more technically inclined. This is especially true when it comes to shader authoring. Shaders affect models, lighting, and FX, and many applicants don’t know how to make them, or how they work. This is not always a job requirement, but it’s definitely a plus. CGC: What’s the most common mistake you see young environment artists make? JC: The most common mistake I see in portfolios is a lack of focus on texturing. This is especially apparent in spec and normal maps. The lack of polish may just come from inexperience, but artists should take a look at their work in a game engine and think about how a surface responds to light. Next-gen consoles are really powerful and many game engines are moving to physically based lighting models. Artists need to author their work accordingly. Want a job as a modeller? Bone up on your texture work too, advises Jacinda. Knowing about shader authoring is a plus, too – particularly if a studio uses an engine with a physically based lighting model. CGC: Tell us something about the art of Sunset Overdrive that no one else knows. JC: Fizzie, our unofficial mascot, started life as a scribble in the corner of a much larger environment painting. He was brought to life by an environment modeller and the team became so enamoured with him that eventually, he was written into the story. Studies show that Fizzie makes everything 100% better.